The Best Christmas Present Ever: A New Hip! It’s the Holiday Season – a time of giving and receiving. And while some people are hoping to get a new car, computer, or simply some tasty candy, many other people are hoping for something even better. So many people suffering from hip arthritis are actually hoping for something quite different this year: An orthopedic hip replacement! Unlike candy or a new computer, an orthopedic hip replacement is the gift that keeps on giving for over 20 years! Often described as one of the most successful operations of recent decades, orthopedic hip replacements can now be performed arthroscopically. But what does that mean? 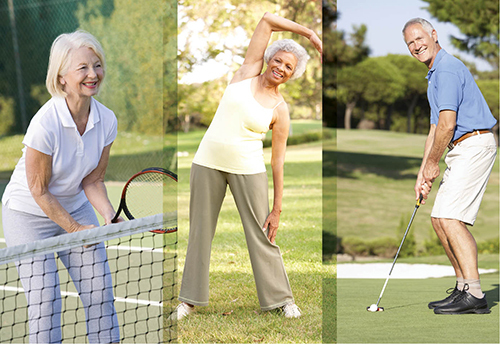 Arthroscopic orthopedic hip replacements (otherwise known as minimally invasive hip replacements) enable our orthopedic surgeons in Palm Beach County to replace the old hip with a new hip with a much smaller incision. This leaves a much smaller scar than traditional open hip surgery, plus also greatly reduces the recovery time. Our orthopedic surgeons in Boca Raton and Boynton Beach are very experienced at performing minimally invasive hip replacements. Our doctors is Orthoaedic Surgery Associates perform arthroscopic hip replacements locally in Palm Beach County and are available for consultations to assess if your hip needs replacing or not.